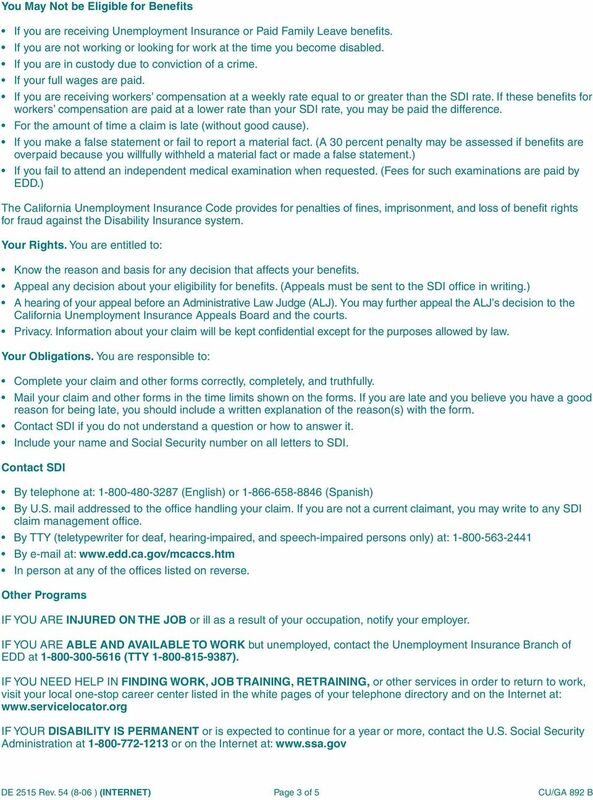 Download "State Disability Insurance Provisions"
Your Workers Compensation Benefits CALIFORNIA This form should be given to all newly hired employees in the State of California. 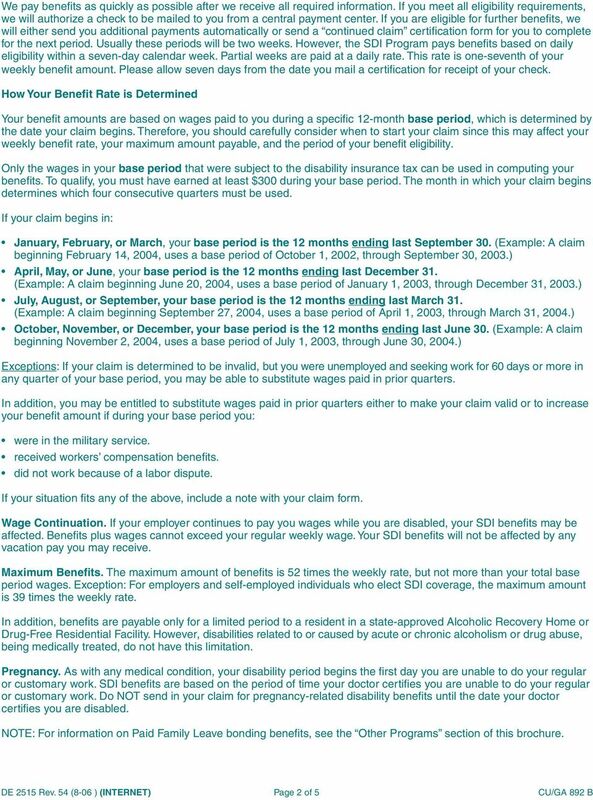 Its content applies to industrial injuries on or after January 1, 2013. THE INJURED WORKER. The first step is to report the injury or illness to your employer. The definition of sexual harassment includes many forms of offensive behavior. 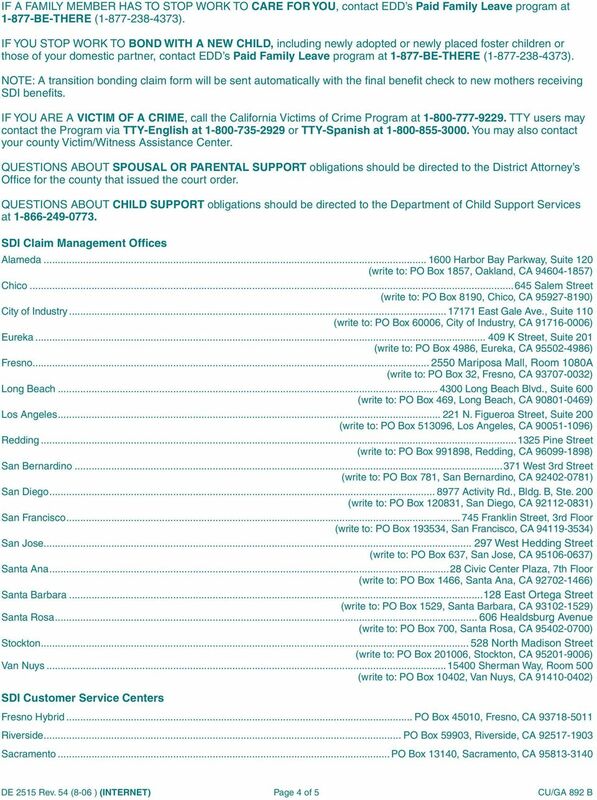 Who It Covers All UCLA employees and registered volunteers are covered for Workers' Compensation. 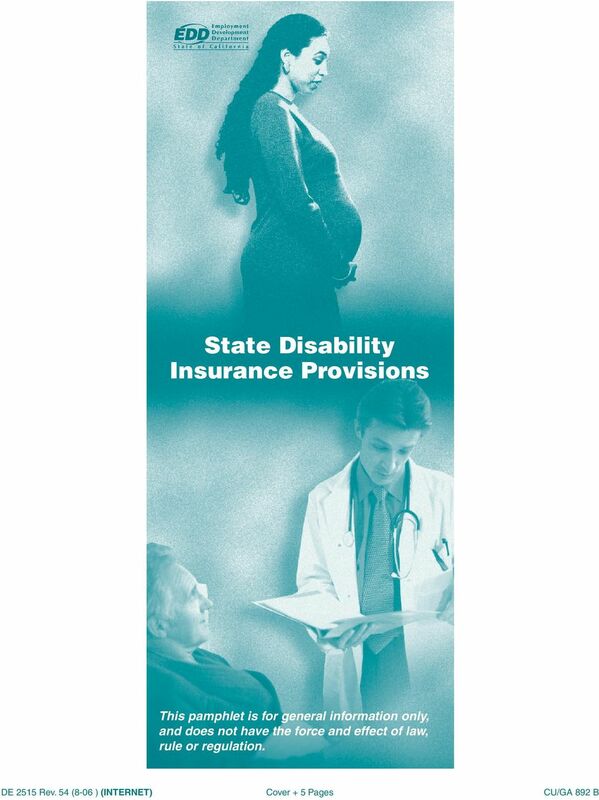 WORKERS COMPENSATION HANDBOOK WHAT IS WORKERS COMPENSATION? If you get hurt on the job, your employer is required by law to pay for workers compensation benefits. You could get hurt by: One event at work. 1. 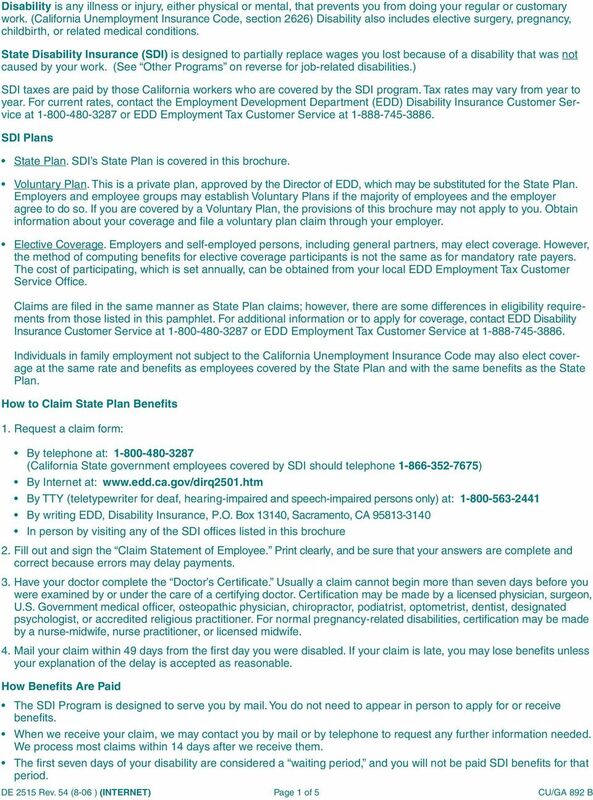 The initial claim must be filed within 20 days of employees last work day. 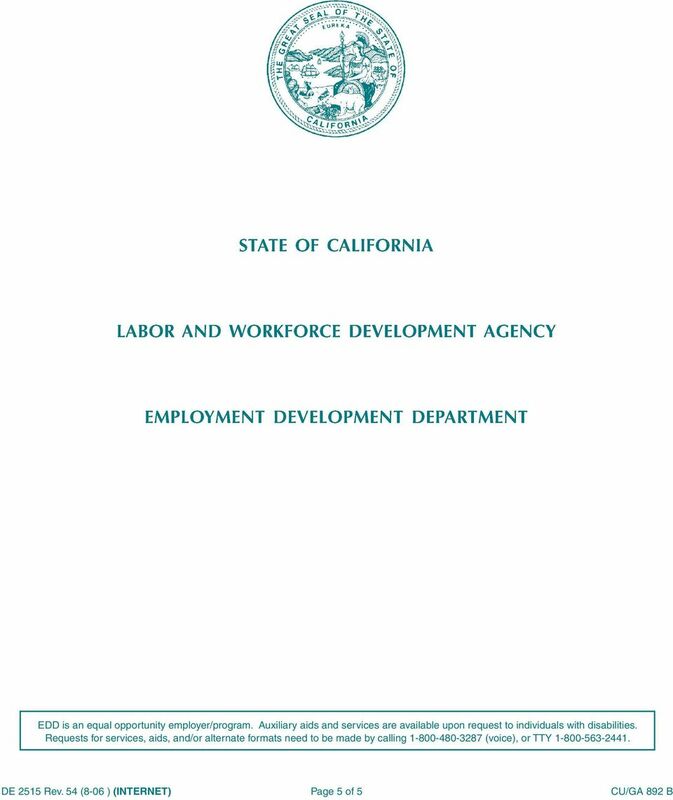 Almost every employed Californian is protected by workers compensation for job related injuries or illness. Therefore it s important that both employer and employees understand workers compensation insurance. For Use With Form AA-17b WIDOW(ER)'S DISABILITY BENEFITS United States of America Railroad Retirement Board Visit our Web site at hitp://www.rrb.go v Form RB-17b (08-04) Table of Contents Page Part I. Frequently Asked Questions. The term lost time injury means a non-fatal injury that causes any loss of time from work.